Azure Notification Hubs is a massively scalable mobile push notification engine for quickly sending millions of notifications to iOS, Android, Windows or Kindle devices, working with APNs (Apple Push Notification service), GCM (Google Cloud Messaging), WNS (Windows Push Notification Service), MPNS (Microsoft Push Notification Service) and more. Tailor your notifications to specific customers – or entire audiences – with just a few lines of code, and do it across any platform. Notification Hubs is flexible enough to plug into any back-end – Microsoft .NET, PHP, Java, Node.js – whether it’s located on-premises or in the cloud. 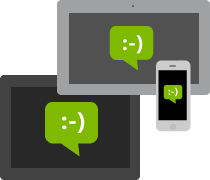 This makes it easier to instantly update your mobile apps and engage with your customers. 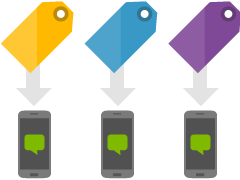 Broadcast push notifications to everyone at once or target specific customer devices using the Notification Hubs tagging feature. Tags let you segment customers based on activity, interest, location or preference, so you deliver the right content to the right person at the right time. If your app covers multiple markets, the templates feature of Notification Hubs gives you a handy way to send localised push notifications, so you can speak to customers in their language. Templates also eliminate the hassle of storing localisation settings for each customer or creating hundreds of tags.